One British WW2 15 cwt truck in 15mm or 1:100 scale. One British WW2 Ordnance QF 2 pdr anti-tank gun in 15mm or 1:100 scale. One British WW2 2 pdr portee on Morris truck in 15mm or 1:100 scale. One British WW2 3 ton CMT truck in 15mm or 1:100 scale. One British WW2 Ordnance QF 6 pdr anti-tank gun in 15mm or 1:100 scale. One British 6 pdr portee mounted on a Bedford QL truck in 15mm or 1:100 scale. 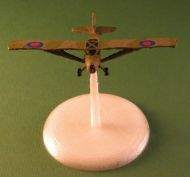 One aeroplane stand suitable for 1:144 scale aircraft commonly used with 15mm scale miniatures. 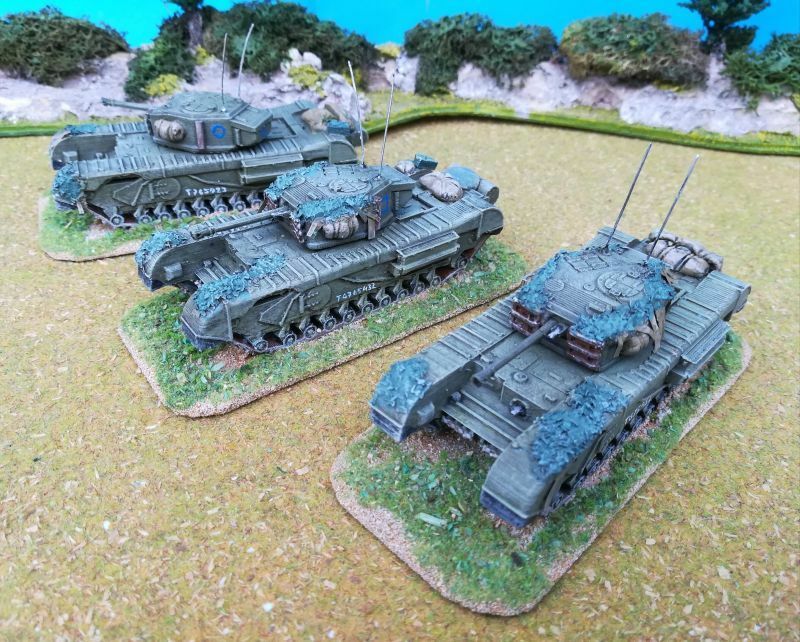 One British WW2 Archer tank destroyer in 15mm or 1:100 scale. One British WW2 Auster air op in 1:144 scale suitable for use with 15mm miniatures. One British Bedford QLD cargo truck in 15mm or 1:100 scale.